Here at River Pro Audio, we’ve been manufacturing blank CD-R and blank DVD, optical media, for over 20 years. Optical media, although a mature technology, is still a complex method of storage and requires a high degree of technical skill, accuracy and experience to manufacture. Here at River, we create all our optical media (blank CD-R, blank DVD and blank BDR) with the bottom line being quality, unlike other manufacturers who focus on price. For the average consumer, so long as an optical disc burns it is generally considered good – however that could not be further from the truth. The Red Book Specification governs the physical parameters and properties of a blank CD-R. Unfortunately, this specification is very broad, which enables factories to manufacture very poor quality blank CD-R and sell them alongside other, superior products with no legal distinction. To combat this and highlight superior products several grading systems have been introduced, the most popular of which is a system from Clover Systems. You will often notice discs being sold as “A-Grade” or “AAA-Grade”, with reference to this system. While well intentioned, this has only caused manufacturers to sell all their optical media as A-Grade; as there is no official, legal and enforced terminology of “A-Grade” media the majority of media making these claims are not “A-Grade”, by Clover Systems standard. This goes unnoticed by many consumers and professionals as they do not have the facilities to scan blank CD-R for defects. While it is possible in some modern players to correct these errors, earlier playback devices will be unable to. We consider E22 and E32 errors to be un-correctable in order to ensure the highest compatibility of our media with playback devices. Block Error Rate is defined as the number of data blocks per second that contain detectable errors. Red Book Specification (IEC 908) calls for a maximum BLER of 220 per second (Average Over 10 seconds), which is a maximum of 2200 errors in a 10 second period. 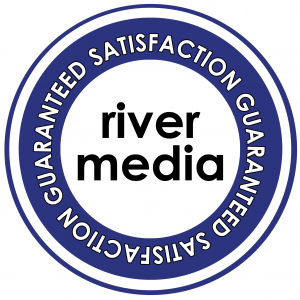 River Media has an average BLER of 2.7, or 27 in a 10 second period; which is approximately 87 times higher quality than the Red Book Specification. Higher error rates leave considerably less room for degradation, which negatively affects the resilience and archival life of the optical media. An optical disc with higher error rates may only be suitably read / played once or twice before they become unusable. High error rates will reduce audio quality and produce audio artefacts, even if an optical disc plays fine when created, one with high error rates will see these problem manifest on different players and at an accelerated rate over time. High error rates will severely reduce playback compatibility. While an optical disc may work with one reader, it doesn’t ensure it will work at all with another. To prevent these problems occurring, we recommend using River Media products. Having the most consistent, low error rates of any media examined, you put yourself in the best position to serve your customers. We’re so confident in the quality of our optical media and of our commitment to excellence that it is reinforced by our Unique, No Quibble, Satisfaction Guarantee. We are proud to be the only optical media manufacturer in the world with this level of confidence in our products.